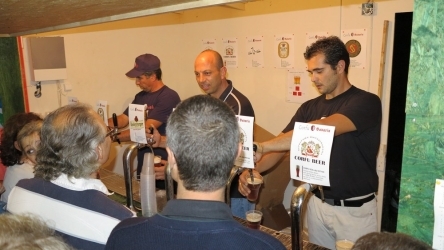 This October, the 1st Corfu Beer Festival was held in Arillas, in North West Corfu. It was organised by our local Corfu Microbrewery, in close cooperation with the local community. It took a lot of work, and more than 150 volunteers were involved in the planning, setting up, advertising and actually running the Festival. The Festival lasted five days, from 9-13 October, and it was a bigger success than we could ever have imagined! 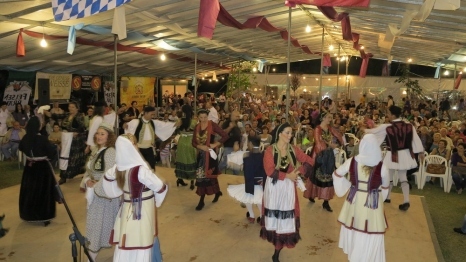 Thousands of people visited the festival grounds, tasted the beers, local food and local products offered, enjoyed the music and danced along to many different tunes: Corfiot, Greek and German! The theme was Corfu meets Bavaria. We chose Bavaria because it is the homeland of beer as we know it. The Law on the Purity of Beer (Reinheitsgebot) was made an official law of Bavaria back in 1516! Also in Munich, the capital of Bavaria, the annual Oktoberfest is held, the biggest and oldest beer festival in the world! 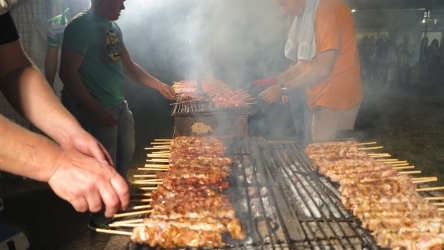 So, the idea was that this festival could bring together Greeks and Germans to drink, eat and dance, leaving behind the politics that are trying to separate us. The Corfu Microbrewery is a small but fast-growing brewery, producing some of the best beers in Greece. All their beers are fresh, unpasteurised and delicious. They produce two types of real ale, plus a lager, a pilsner, and a special beer re-fermented with honey. They were commissioned by JD Wetherspoon to produce a real ale called Koroibos exclusively for the London Olympics. With their connections they managed to get four German brewers to come to Corfu and brew four different wheat beers (Weizenbier) exclusively for the festival. In the mornings, when most of us were recovering from the previous night, seminars were organised on different subjects. There was of course a seminar on beer, but also seminars on bartending, cooking and olive oil, all presented by experienced professionals and acclaimed scientists. The best thing of the whole festival though was the relaxed atmosphere. We may have had more than 10,000 people who drank about as many liters of beer, but there wasn’t a single misunderstanding or fight in the whole five days! It was a great experience and we are all looking forward to next year’s Corfu meets the UK festival (8-12 October 2014), with participants from England, Scotland, Wales and Northern Ireland! For more videos of the festival you can visit our Green Corfu YouTube channel. And if you want to come to next year’s festival, you can check out our accommodations in Arillas!